Blue aluminum tag with blue plastic spirals for hanging. 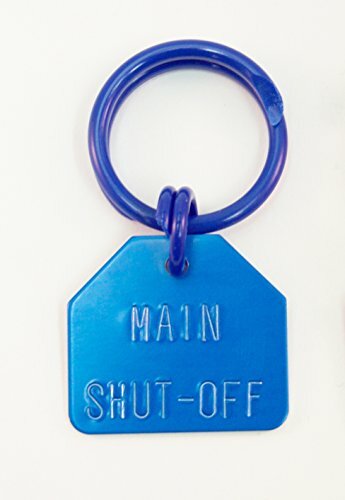 Stamped with "Main Water Shut Off" to identify shut off points in a home or business. Comes stamped and conveniently packed with unattached plastic rings in individual plastic bags. Pack of 100. Tag is 1-1/8" x 1-1/4" and the large ring is 1" inch in diameter. Comes stamped and conveniently packed with unattached plastic rings in individual plastic bags. View More In Shipping Tags & Seals. If you have any questions about this product by National Band & Tag Company, contact us by completing and submitting the form below. If you are looking for a specif part number, please include it with your message. © 2019 - highiqbusinessnetwork.com. All Rights Reserved.